عندما تزور سوفا, ستشعر أنك في بيتك في Quest Apartments Suva الذي يقدم لك إقامة متميزة و خدمات عظيمة. يمكن من هنا للضيوف الاستمتاع بسهولة الوصول إلى كل ما تقدمه هذه المدينة النابضة بالحياة. يوفر الفندق بفضل موقعة الجيد وصولاً سهلاً إلى أهم معالم المدينة. لقد جهزت هذه الإقامة الفندقية بعناية فائقة لتوفر مستوى عالي من الراحة. في بعض الغرف يجد النزيل تلفزيون بشاشة مسطحة, سجاد, قهوة فورية مجانية, شاي مجاني, بياضات. سواء كنت من محبي الرياضة أو كنت تتطلع لتفريغ عناء نهار صعب، ستجد خدمات ذات مستوى عالي بانتظارك كمثل مركز للياقة البدنية. مهما كانت دواعي سفرك فإن Quest Apartments Suva هو خيار ممتاز لإقامتك في سوفا. يُرجى العلم بتطبيق رسم بقيمة 2.9% عند الدفع ببطاقة ائتمان. يُرجى العلم بأن النزلاء سيتعرضون للضوضاء من الساعة 7:30 صباحًا إلى 5:00 مساءً كل يوم بسبب أعمال الإنشاءات الجارية في المبنى. يجب على النزلاء إبراز إثبات هوية سارٍ به صورة وبطاقة ائتمان عند تسجيل الوصول. ويُرجى العلم أن جميع الطلبات الخاصة خاضعة لمدى التوافر، وقد تُطبق رسوم إضافية. Location is at the heart of the city and bus station is approximately 5 mins by taxi. The receptionist was very accommodating and helpful. We booked for studio room but was upgraded to executive room. Deffinitely will stay again next time. I always enjoy staying at The Quest, Suva. Staff are awesome and helpful, apartments are spacious and immaculately clean and central to everything in Suva to restaurants, cafe's and MHCC just across the road. Highly recommend The Quest if staying in Suva. This place was very clean. The elevators need to be cleaned however the lack of a swimming pool and eatery were an issue but travelling downtown suva was a breeze. Overall location is great if you are staying for business and don't care for the amenities. I was concerned that being in the centre of town might make it noisy, but it didn't. Instead, I was within easy walking distance of two supermarkets (New World slightly further is better); several food courts. Restaurants – good ones – are slightly further away but worth the walk. The apartment has pretty much everything you need, was very clean and modern. I really appreciated the complimentary breakfast basket, replenished as and when necessary. I will definitely stay here next time I visit Suva. We initially had five day booking but due to the excellent service and location we stayed one more night . The apartment is walking distance to all the shops , the food court in level 2 is awesome . The staff were very friendly and helpful . Will definitely stay here on my next trip . vinaka quest . After a bit of a disaster we found an Agoda deal and we stayed at the Quest. The room had everything and more than we needed. It was clean, spacious, had a tv, ac and breakfast. We were able to do a wash and dry of clothes for free - just part of the great facilities. There was gym sadly I didn't get to use it. Limited TV channels but that is Fiji. It was great to be able to park in a safe carpark with very easy access to the hotel. Only thing staff were out and about a little bit early for room service just a bit noisy in the hall. We initially booked an exec studio here but the card I made the booking with was stolen so I had to cxl the booking and rebook and got a std studio instead. I sent a Msge to the hotel to explain and requested to get the same room. No response. When we checked in and explained, the front desk were going to charge us the difference between their rate and rate paid. So helpful. Dropped the bags and went out. Upon our return the lifts weren’t working as the power to the building went down last night, so we needed to walk up the fire stairs to the room. Then the fire alarms have gone off at midnight then again around 6am this morning. Oh and there is construction from 8am to 7pm on level 2. I have been on hold to Agoda for 29minutes only for the call to just drop out. Hope we can check out early as I do not want to stay another 3 nights here nor do we wish to forfeit the payment for the remaining 3 nights. The place was absolutely clean and the facilities were well kept. The location is ideal in the middle of the city, access to shopping centers etc. 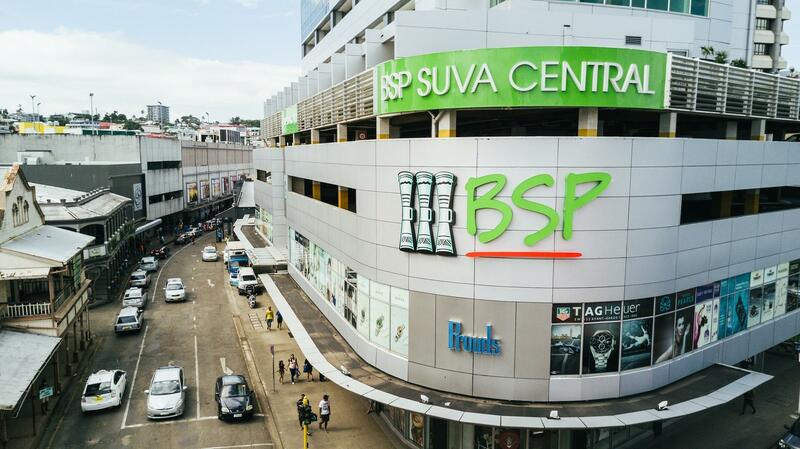 I would always choose this place to be in Suva for shopping, site seeing and business as well. Loved my stay here. Everytime I'm in suva, this would be the best apartments or place to stay. 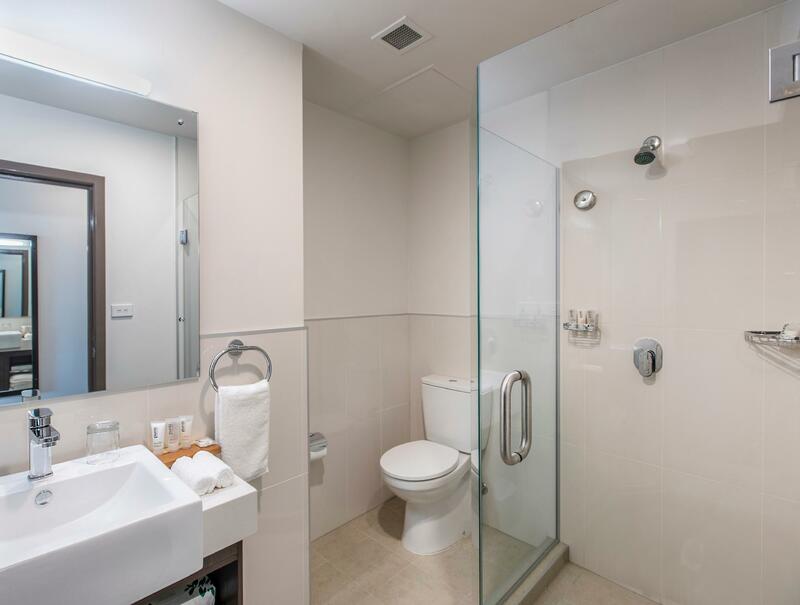 Cleanliness, superb staff from front desk to housekeeping, close to supermarkets, shopping centre, cafes & restaurants. I have been recommending these apartments to friends and family if they are ever in Suva. This was my first time staying at Quest Apartments Suva. The staff were incredible professional and friendly. The rooms were large, with all of the amenities that were needed, including a kitchenette and balcony. The front desk is not 24 hours, but you are provided with a building and room entry key. There is a security officer in the building lobby throughout the day and night. Wi-fi is not free. Quest continues to amaze me year after year. 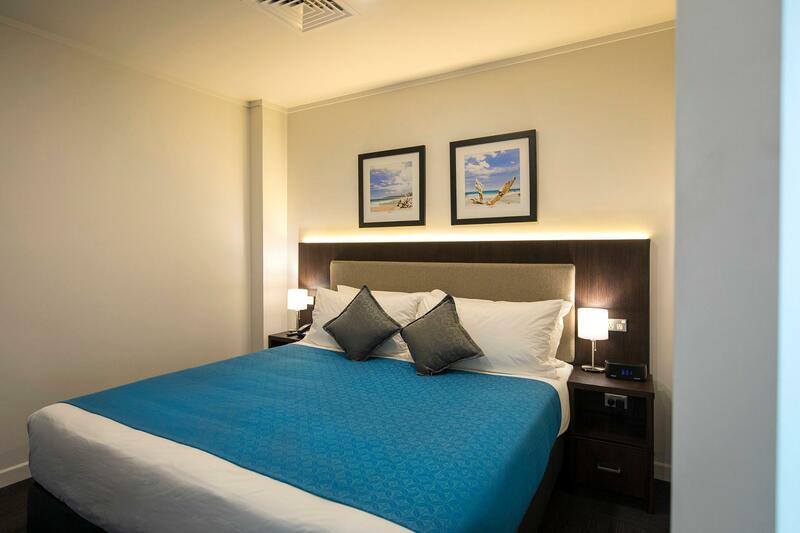 Lovely rooms, consistently spotless housekeeping, proximity to all the major places in Suva City and secure on site parking with swipe card access. I highly recommend Quest Suva! Why go anywhere else? We had a wonderful stay at the excellect establishment. From the lovely Receptionist as well as the night fill Reception to the wonderful ladies assisting with the room set up and clean up - you do a wonderful job - nothing was any trouble at all. 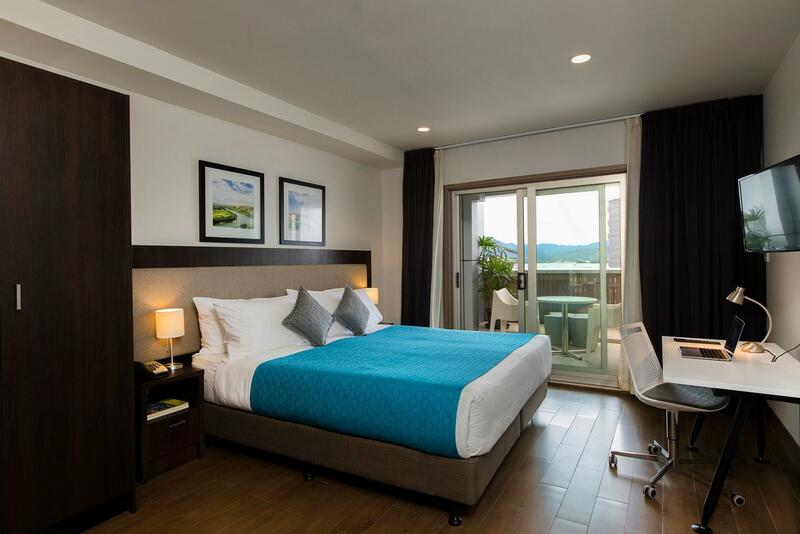 Rooms are perfect and with stunning views of the ever changing aspect of Suva. Thank you and we will definitely be back. I was meant to be on the 12th floor not the 6th. The view would have been so much better up there. Separation between balconies was laughable as there wasn't any. I thought Quest 1 bedroom apartments were meant to have a bedroom completely separate from the living area.